Sign up for our newsletter and stay informed. Get yourself highlights and the latest news from the world of internet privacy and cybersecurity! Open it, follow the instructions inside and you’ll soon be getting our newsletter. We live online, but some countries seek to limit what we can do. Who are they and how can you free yourself from geo-restrictions? Find out here. 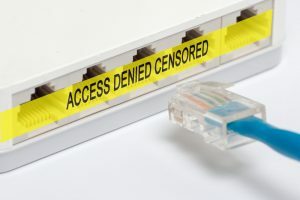 Are VPNs Legal in Your Country? Here Are 10 That Ban Them. The Privacy Hub is our educational initiative. Our mission is to help you navigate the ever-changing world of privacy and cybersecurity. We believe knowledge is the key to staying safe and protected online. And we’re always here to keep you informed. Privacy is a fundamental human right. It’s not about hiding; it’s about protecting your individuality, particularly on the internet. What Type of Data Do Our Devices Gather and Send to Companies? Keep yourself informed. Get the latest privacy and cybersecurity news delivered to your inbox. © 2019 CyberGhost S.A. All rights reserved.